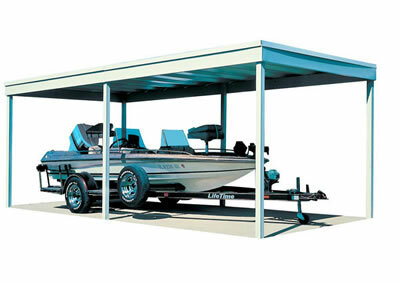 The Arizona Carport will provide your family protection from the elements for years to come with its durable materials. Gray tinted, corrugated roof panels. The Arizona 5000 Wave combines function and modern design providing protection against the harshest elements. 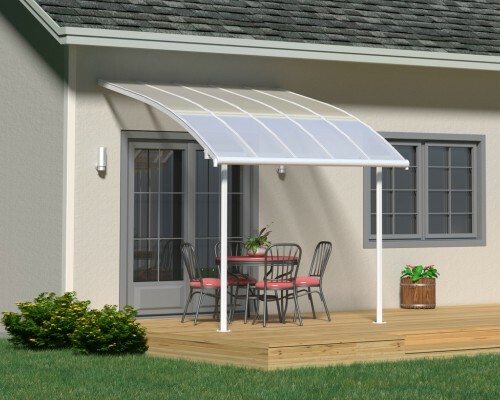 Its unique and robust design makes it a wonderful carport and outdoor structure, with the two-legged design allowing easy access from any side. The gray frame and solar gray roofing materials were created to withstand harsh weather conditions; the polycarbonate panels allow partially transmitted natural sunlight while still providing sufficient shading and blocking harmful UV rays. 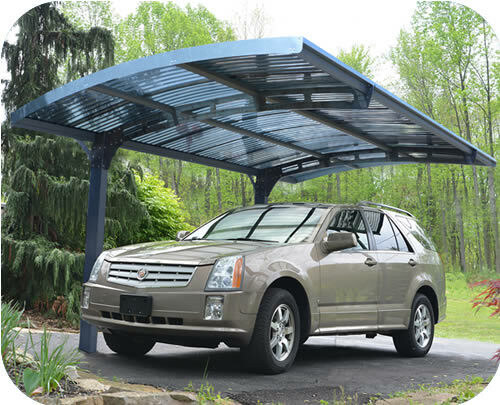 Once installed, the Arizona Carport will provide your family protection from the elements for years to come with its durable materials that are rust and maintenance free. BEFORE ORDERING – Be sure to check your local building and zoning codes & guidelines and ensure that any/all appropriate permits have been acquired. Check your local building and zoning codes & guidelines and ensure that any/all appropriate permits have been acquired.